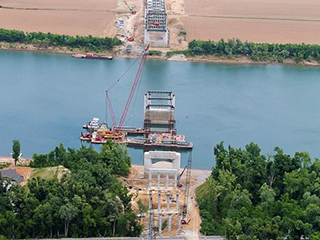 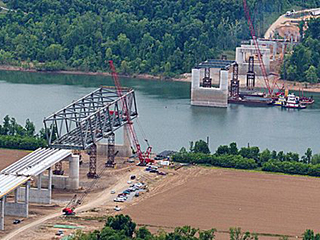 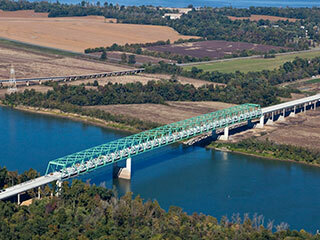 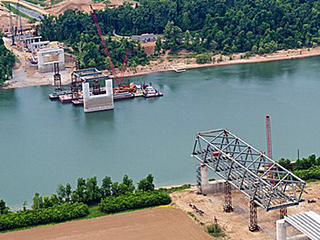 This project consists of the steel erection for a 3-span 1800′ steel truss bridge crossing the Tennessee River in Paducah, Kentucky. 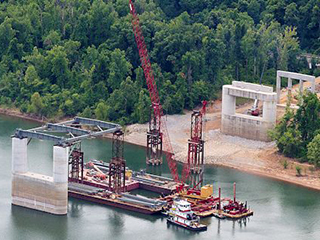 Mahan’s work scope included the assembly of over 15,000,000 pounds of structure steel using the balanced cantilever method of construction. 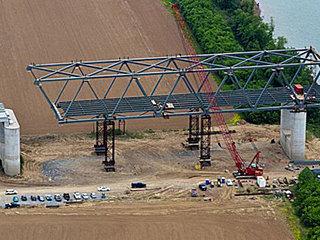 Temporary false work was used to safely execute the assembly.